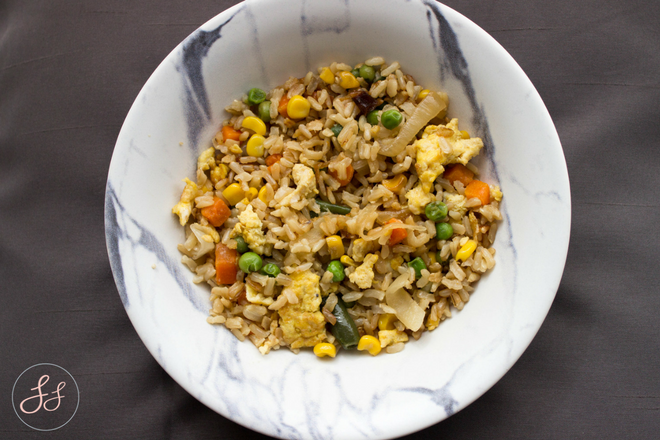 I don't like to toot my own horn - but I think I make a pretty mean Veggie Fried Rice. It's one of those recipes that just get's better each time I make it. It's super vegan-friendly. You just omit the egg and/or use tofu or another protein substitute. 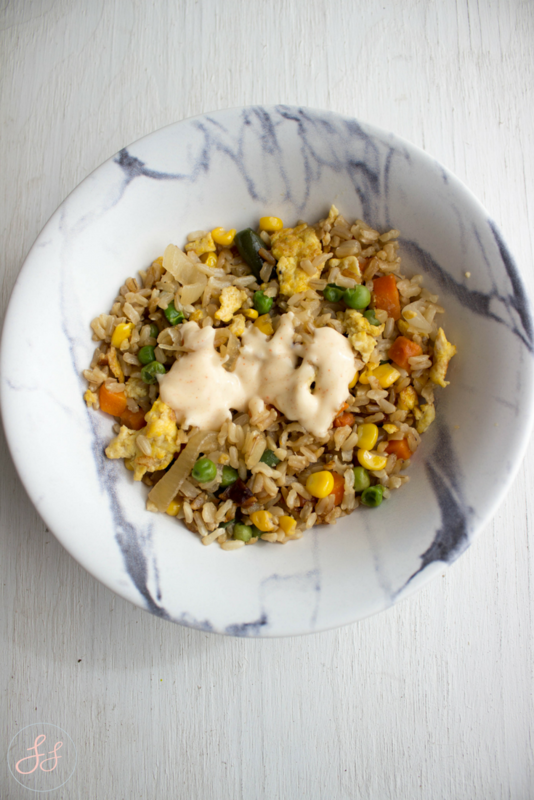 The hub's favorite addition to my amazing fried rice is my dairy-free Yum Yum sauce. 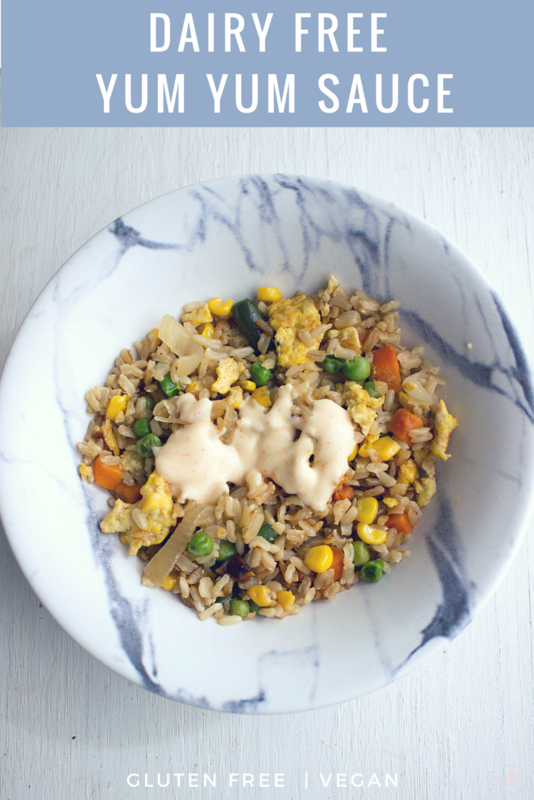 Top your veggie fried rice with this amazing dairy free Yum Yum sauce! 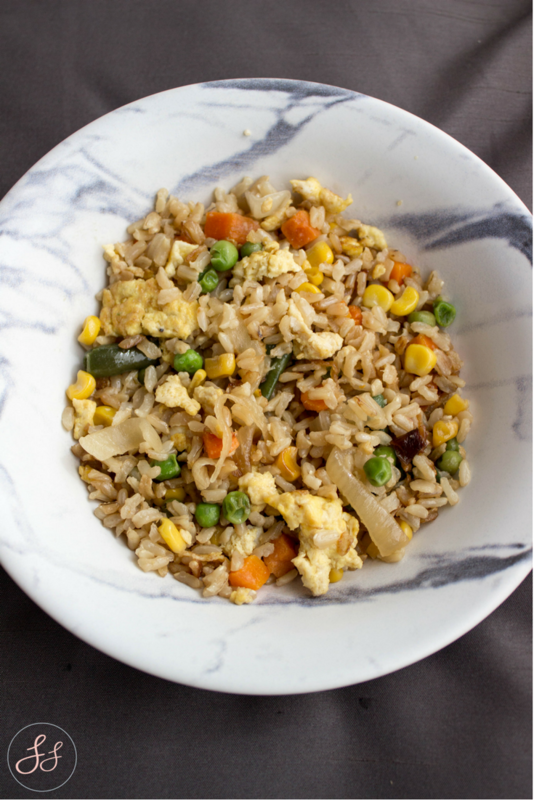 I love fried rice and throw some tofu into mine. 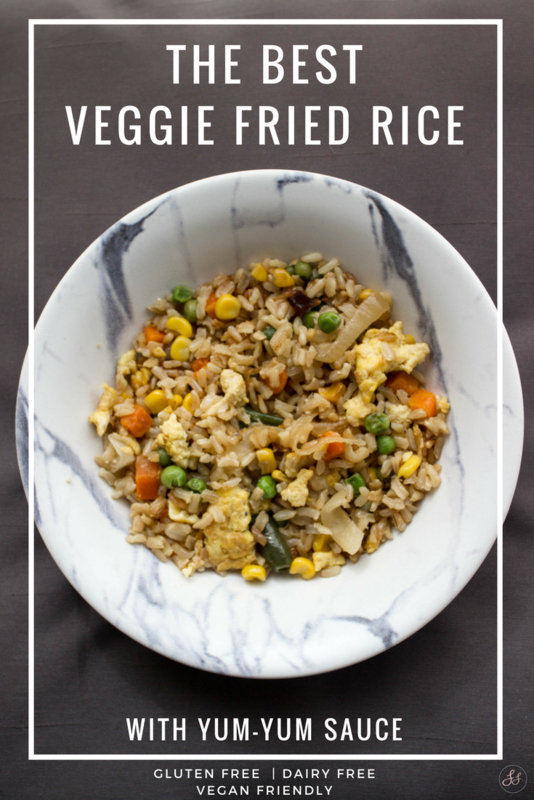 Looks like a lovely fried rice recipe! I could definitely eat buckets of this! I love fried rice! And I've always wanted to know how to make yum yum sauce!! It's really easy to make! I hope you get a chance to make it! That would be perfect! My husband LOVES sriracha (like he puts it on everything ;) ) but I'm a spice wimp and leave it out. But I think it would do SO well in that Yum Yum sauce for sure! I seriously want this tonight! It's going on my grocery list for next week! 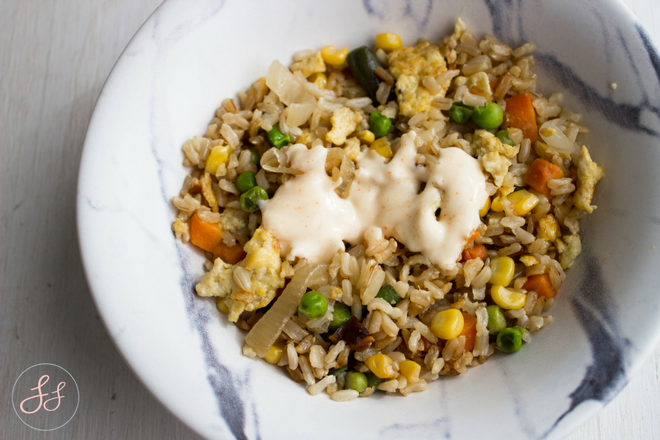 This veggie fried rice looks so much tastier than any take-out version! Love the homemade dairy free yum yum sauce for a topping.